It’s time for Theresa May to recognise the catastrophic impact eight years of uninterrupted austerity has had on local services and communities. By 2020, councils will have lost 77 per cent of their budget, leading to infrastructural and social collapse. We have already seen huge increases in crime, foodbank usage and homelessness, alongside a decline in life expectancy. All are ‘inevitable consequences’ of the cuts. I’m happy to show my unconditional solidarity with 60 other politicians from the West Midlands to write to Mrs May demanding an end to her ruinous austerity. Cuts have consequences and the people have had enough. So glad that Theresa May has come to Birmingham and is so happy with life that she’s dancing to Dancing Queen while our residents have to deal with the impact of a horrendous amount of public service cuts. I couldn’t give a flying monkeys about her dancing style, I’m sure many people on the poverty line will give her lessons any day, I’d prefer if she actually opened her eyes to what everyone else is seeing. Get real. 76 residents died Grenfell unnecessarily because the regulations here not adhere to for the tenants’ safety which happened under the conservatives. The lack of justice for the Windrush Generation thousands of commonwealth citizens were recruited to work in Britain. Under the current Conservative government they are being denied visas, passports and permission to remain. Many BAME communities who served this nation of ours in two world wars and when Britain went all over the world to call on those communities to serve this empire they came with their families to work in our public services they felt a sense of belong now they threatened with deportation. The continuation of private housing is being used by some unscrupulous landlords to maximize rents and if you can’t pay it’s a case of hit the highway. This government alleges that they are building more housing every year. Frankly this is only for the rich and not for the many but for the few. The concept of universal credit rolled all the benefits into one sounds like a good on paper but in practice it’s not working and it’s hurting the very people who depends on it. The average working people who are working receives their pay every four weeks under the new benefit system the unemployed receives theirs every five weeks instead of fortnightly. They have to wait six weeks for it to be process in the meantime they can take out to cover it until it reaches your bank account. It’s no wonder why people who are just starting out on benefits felt they are being short changed. On a average month there is 31 days, in some there is 30 days in a month and one month there is 28 days. 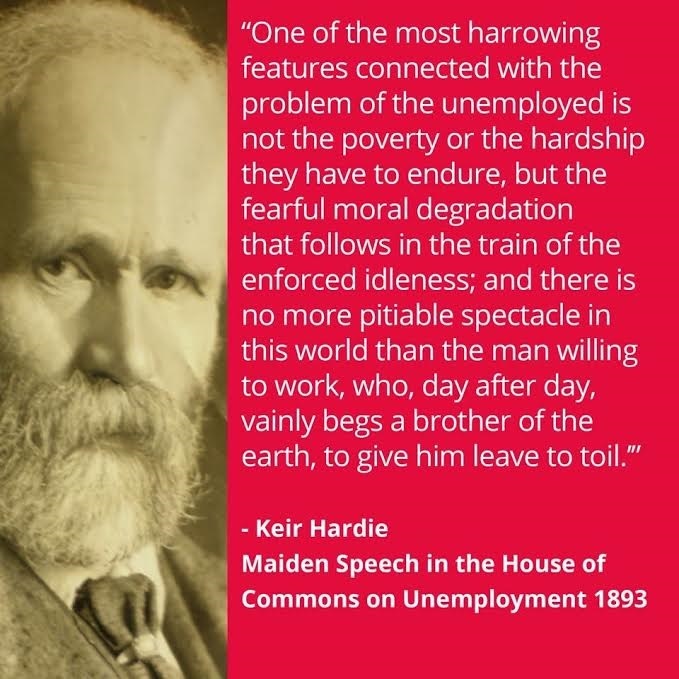 I’m minded to remind Parliamentarians, Councillors from all the political parties that people felt their vote are taking for granted and they cant see any difference to their pay packets, all they can witness is the cost of austerity, unsympathetic policies and lack of understanding for the plight faced by everyday people is ruining lives. Teenage suicides in England and Wales have increased by 67%, rough-sleeping nationally increased by 169% as trends continue with detrimental increases occurring since 2010. The damaged caused in less than a decade is absolutely staggering. So much for austerity one has to wonder if this government and establishment really care enough for our communities. Is it a case of I’m alright Jack I’m doing well, I don’t really care what happens to you I have a roof over my head and I pay my bills on time, I have a rich wife or I have a rich husband that can provide for me and my family. The effect of the funding cuts to public service shows itself of a daily basis. Im not at all surprised that both Councillors and MPs regularly have complaints from local residents about prostitution, anti social behaviour, and lower level crime which the police simply do not have the resources to deal with. However more can be done to help their constituency to address this by not paying lip services residents want to see more action by our elected members to improve their quality of life not just for them but for their children’s future. I say to this Conservative Government until the government starts to recognise the root causes of wastage of food, increase of food prices, food-banks, soup-kitchens, mobile bills for those on contract, utilities bills, and petrol. They should not pay lip services with people’s lives rather than tackling the root causes. This grieves me my heart to constantly read in all National Press, Opposition Parties, Council Leaders and Think-tanks quotes council bosses in UK say the worst is yet to come in cuts to services as the government further reduces local government funding. The County Council Network predicts unpalatable cutbacks next year as the councils identify at least £1bn savings to plug a £1.5bn shortfall by 2020. It also warns the risk of some councils stripping their services back to minimum core offer is growing. Let’s talk about Brexit for a bit, as I know you’ve not heard enough about it recently. I know there are some people who voted Leave and as well as people who voted Remain this post is for everyone. Firstly, let’s be clear, this is chaos right now. Theresa May has finally been told to her face that the EU rejects her plan. We all knew it was going to happen, but apparently she is incapable of taking a hint. She has spent 18 months negotiating with her own party and the DUP about what Brexit should look like, came up with a plan that nobody in her party (or the DUP) liked, and then tried to convince the EU that a plan with details they have said from the start wouldn’t work would actually work. Doomed. Utterly utterly doomed from the start. The only reason she managed to get this far is because the Tories are scared of a Labour led government and they don’t dare challenge her. There is now no credible plan and Macron has told the rest of the EU leaders that after waiting 18 months for the Tory party to finish negotiating with itself, enough is enough and the EU has to put its foot down. Secondly, the lies about Brexit in the referendum. I’m just going to talk about one the lie told to the BAME community by the Leave: “Vote for Brexit and it will be easier for people from India, Pakistan, and China to get visas, work, marriage, joining family, etc it’ll be easier.” And at the same time the Leave campaign was saying that the UK had too much immigration, and the Tory party still has a policy of slashing immigration to 1/3 of current levels. The Leave campaign won the referendum based on lies, and we can see now that those were lies and can not be achieved. Thirdly, as many people will be thinking “all politicians lie to win elections” well, in the UK yes, but that’s because our political system is broken and our politicians are crap. It is clear that the Westminster political class have failed. 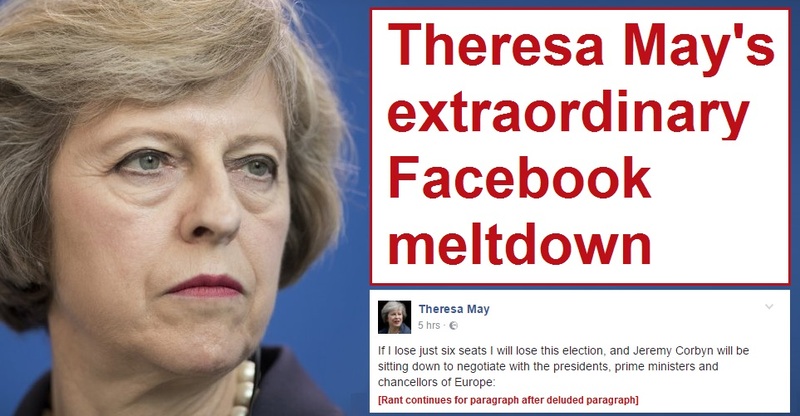 Theresa May became Tory leader because all the other candidates stepped down and she was the best of a bad bunch. The Labour party is internally divided as well, with Corbyn seemingly unwilling to hold the Tories to account on Brexit, and many MPs scared to challenge the government on Brexit because they think their voters will desert them. There is no organised opposition and government is led by incompetents. Our media have the lowest level of trust across Europe and are run by millionaires who believe that their job is to disseminate propaganda, rather than report the news. And the BBC is scared of losing their licence fee income. Our political system is broken and our politicians lie through their teeth because they know the press won’t hold them to account and the electorate have no other options. We can stay members of the Single Market and Customs Union. We can have a Canada+ deal, with Northern Ireland having a special status to stop a hard border. The EU has been clear that they can not permit the integrity of the Single Market to be threatened – this is not being stubborn, instead comes from a clear understanding that the Single Market must survive intact and there can be no cherry-picking of elements of it. The EU can not compromise because it would lead to the Single Market starting to unravel. Those two choices offered by the EU are both still open, but Theresa May has refused to accept them. (1) We are 6 months away from the Article 50 deadline, with no alternative plan to the one just rejected (David Davis’ plan that he was working on hasn’t appeared). (2) Our government is incompetent, led by a PM who refuses to compromise and faced by an opposition leader who doesn’t want to hold the government to account on Brexit. Neither of those leaders look like changing in the near future, nor is it clear who would replace them. (3) Our government is propped up by the DUP, who will never accept the sensible option of giving Northern Ireland a special economic settlement with the EU (although they are happy with the special social policy settlement that Northern Ireland has). (4) We have a media who demonise the EU to the extent that even people who voted Remain believe that the EU is failing to compromise. This is not true. I can not repeat this enough it is not true. The EU is protecting the integrity of the Single Market and the leaders of the member states are all on agreement on that point. This is not a recipe for the careful political debate and compromise necessary to reach a Brexit agreement that the EU can sign up to. British politics has failed and because of that, there will be no agreement reached with the EU. We are incapable of making the hard choices necessary to achieve that we have spent the last 18 months locked in internal negotiations and we have failed to come to a decision without any internal agreement, there can be no possibility of negotiating externally. Whether you voted Leave or Remain, you have to understand this the UK is incapable of carrying through on the results of the 2016 referendum. (1) Cancel Article 50 and accept that the UK will not leave the EU. (2) Crash out of the EU with no deal and cause huge damage to the British economy. The extremists and looters are looking forward to the second result Tory MPs who want to turn us into a tax haven beholden to money syphoned through corruption out of Russia and China. But crashing out will hit us harder than the 2008 global crash, and we have no Gordon Brown to stabilise the banking system this time. Cancelling Article 50 is the only sensible way forward, if only because of how broken the UK’s political system is. I had fond memories of one of my uncles who would take a book of the self, the book was full of dust he would clean the cover of the book with a clean cloth then he would sit us down to read the poem. In the closing days of the election campaign, Theresa May told anyone who would listen that there was no ‘magic money tree’. Some noted that the Prime Minister appears to have found one, because she’s managed to scrape together £1 billion to help her cling on to power. She’s promised the DUP vast sums of cash to spend on projects in Northern Ireland, in return for which they’ve promised to prop up her minority government. During a special edition of BBC Question Time, the nurse asked the Prime Minister: “My wage slips in 2009 reflect exactly what I see today – so how can that be fair in light of the job that we do?”Mrs May replied: “I recognise the job that you do, but we have had to take some hard choices across the public sector in relation to public sector pay restraint. “We did that because of the decisions we had to take to bring public spending under control, because it wasn’t under control under the last Labour government. Thou art right to be outraged at the idea that such nasty, regressive bigots as the DUP should wield disproportionate influence over our government, but while people are waking up to how batshit northern Irish politics is, I feel they don’t realize how neglected and poverty stricken it is. Fully concur that the whole of the UK needs investment in its infrastructure, but it feels like dog-in-a-manger politics to begrudge investment that the poorest region of the UK so desperately needs. I’m not surprised about May’s disgusting deal with the DUP. She thinks she has hoodwinked us all into believing she thinks that her deal is anything other than a shameful bribery to let her remain in power. £1bn for ten votes! Doesn’t that make you rage. Consider this it cost us around £16.66 for each individual UK taxpayer to fund the Tories clinging onto power. Theresa May said she wants EU citizens living in the UK to stay after Brexit as she announced plans designed to put their “anxiety to rest”. All EU nationals lawfully resident for at least five years will be able to apply for “settled status” and be able to bring over spouses and children. Those EU citizen who come after an as-yet-unagreed date will have two years to “regularise their status” but with no guarantees. Prime Minister told the Commons that she wanted to give reassurance and certainty to the 3.2m EU citizens in the UK as well as citizens of the three EEA countries and Switzerland who she said were an “integral part of the economic and cultural fabric” of the UK. However, she said any deal on their future legal status and rights must be reciprocal and also give certainty to the 1.2m British expats living on the continent after the UK leaves the EU. It’s all silent from Tory voters and members are they happy to purchase votes, and that each vote from the DUP to prop up the Tories will cost the UK taxpayer £100 Million pounds to the DUP a BILLION pounds, yes a feckin BILLION pounds that could be used for education, or the NHS, or to invest in this country to get people back to work, and with Brexit coming up don’t we need that money for all of the UK. Tory members please tell us, is all this ok with you lot, and can you confirm that this Is what you voted for. So there is a magic money tree after all, but only if you’re a Tory buying votes from extremists..
One wonder how the Tories would feel if this £ BILLION pounds was going to the EU where at least we get something back for our money.. Honestly, whilst I feel like using stronger language I have to be mindful when a Government abuses its people in this way, a Government is so arrogant with YOUR money, when a Government buys votes for a BILLION pounds with money we so desperately need, when a Government takes the piss like this then there really is no other option, and it will be their own doing. 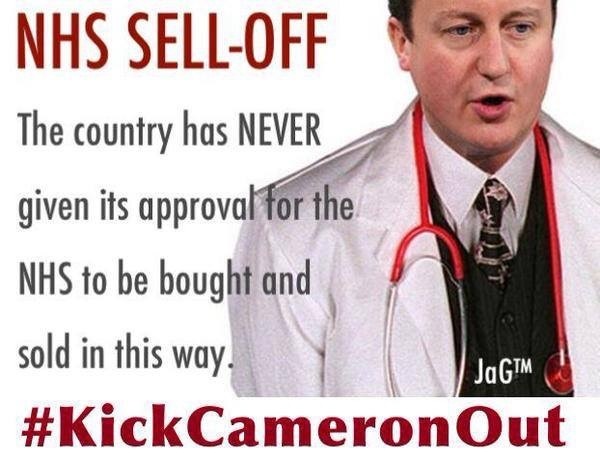 People are sick of this constant abuse of our money by greedy arrogant Tory politicians. Surely if the Conservative government were being honest and upfront, the other parties would by logic, support their efforts to govern, if it was in the Nation’s interest to do so. What is it that the Conservative minority government are afraid of when roughly half of the population are represented by other MP’s? Why do they need to ruin their chances of a comeback at a subsequent general election by prostituting themselves to the likes of the DUP-a party known for its links to protestant terrorism in Northern Ireland and for its anti LBG rights and its anti-abortionist views. Even the Conservative leader in Scotland has her reservations because of her own sexuality and those newly elected Scottish MP’s are now going to be in a dilemma when it comes to their government’s need for votes. The SNP will be having a field day with this over the coming weeks and months. It is a well-known truism that the Tories when faced with a problem they just throw money at it. One can see that behaviour in the antics of people like Johnson and other ex bullingdon club boys- I call them boys for that’s all they are in their level of maturity. 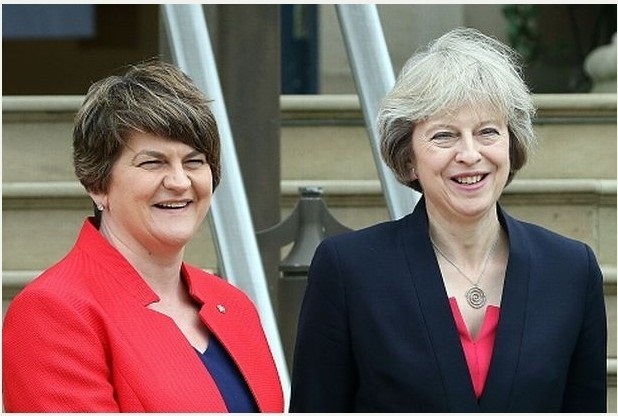 To resolve their dilemma at present the money they have slung in the direction of the DUP pales into insignificance when one looks at the amount of money they are going to have to dish out to appease the rest of the mainland populace. Their hope that they can ride out the storm of protests is likely to fail, as the security services, already hard pressed to contain society is bursting at the seams with discontent and skill and manpower shortages. I expect that during the next few months, if they survive there will be emergency legislation passed and malcontents, disaffected and the like who strongly criticise this cuckoo government will see efforts to close down their avenues of dissent. Corbyn’s popularity has reached the point of no return and as long as he does not fall into the Beatles trap of becoming ‘more popular than Jesus’, his little red manifesto will stand the test of time. He has some excellent people around him. I watched Keir Starmer yesterday with admiration at how he clinically destroyed the three Brexiteers and how he parried sniping from the tories so that their ammo puffed like damp squibs in the chamber. These people, rather than Labour will now feel the pressure as the Tory controlled main stream media begin their hatchet jobs. Corbyn, being the leader he is knows how they work and is no doubt primed and ready to keep opening that DUP sore until it festers in the body of the Tories and they become too weakened through the political infection that they finally capitulate. They cling desperately to May’s apron strings but I fear that it will all be in vain as she herself is so weakened by her recent actions following on from flawed decisions. We just wait and adopt a siege mentality and sooner or later we will starve them out. Wow don’t know, whether to cry or knock my head around a brick wall over Theresa May apology to her cabinet ministers for her incompetence and mismanagement of the election manifesto. This remind me of a song Don’t Cry For Me Argentina. This is very rich coming from Gavin Barwell “Anger over Brexit and austerity caused the Tories to lose seats and Labour had tapped into concerns about the impact of years of years of public sector pay freezes and that his party must do more to listen to Remain voters concern”. Could this be his retaliation reply for losing his Croydon Central seat. Got to hand it to May for wittingly delaying the Queen Speech on the grounds of she is afraid of going to the Queen to let Labour to form a government as her on ministers are very desperate to save face by wanting this sweetheart deal with Democratic Unionists Party(DUP). It’s no wonder why Arlene Foster is alleged to say “deal between DUP and Tories could be a tremendous opportunity for Northern Ireland”. In other words kiss my arise first and give us more money to play with our voters and we will open up the heavens and bring forth rain to save you mam. This will come as no surprise that Scotland and Wales would want to benefit in a similar way for any cash boost as well. Already we are seeing the cracks unfolded for ex-prime minister Sir John Major to say “he is dubious about the idea and its impact on peace process”. John Major and Maggie Thatcher who were the former prime ministers were responsible for introducing and action PFI to sell of mental health homes, and hospitals, and ridding the cleaning services in NHS by introducing the private sector into the NHS to do the cleaning of hospital wards. George Osborne also said “The government not to change its economic strategy after being left without a commons majority. A so-called end to austerity would lead to a loss of economic credibility”. 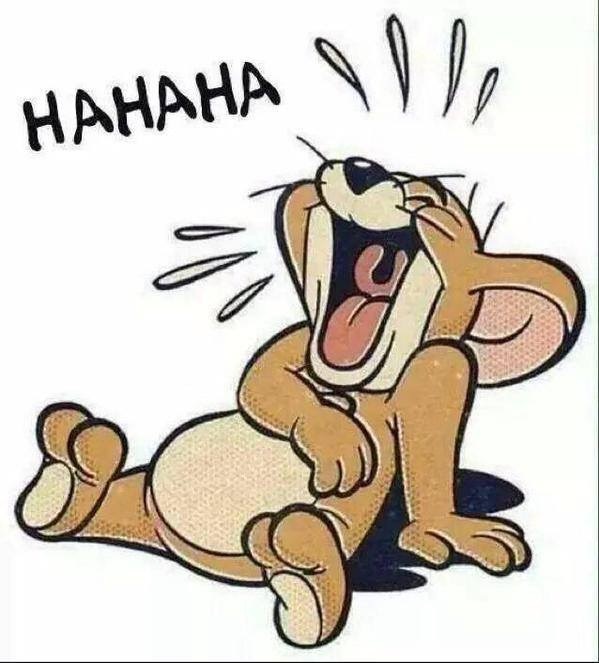 Cor blimey, I would never in a million years would I have thought that I would concur with the former Chancellor of the Exchequer George Osborne calling “Theresa May dead woman walking” who now is the editor of the Evening Standard. David Cameron also said “Theresa May will have to listen to other parties as she reviews her Brexit strategy in the wake of the election. There would be pressure for a softer exit from the EU after his party did not win an election majority. It’s very noticeable the former heavy weights of frontbenchers in Conservatives are coming out in force shooting warning shots to Theresa May to get her act together. David Cameron who gave the nation the referendum vote and he lost the vote decided to resign from politics and sucking up to EU by informing them he will win the referendum.It is said that a week in politics is a long time. I would like some answers from any Conservative members is what do you think of your dear leader, who is weak and wobbly leader, are you just waiting for the backstabbing Johnson to take the helm which he can always deny as much as he wants. He will still be keeping his eyes on ways how to stab his leader with the handle of the knife from behind the scenes. 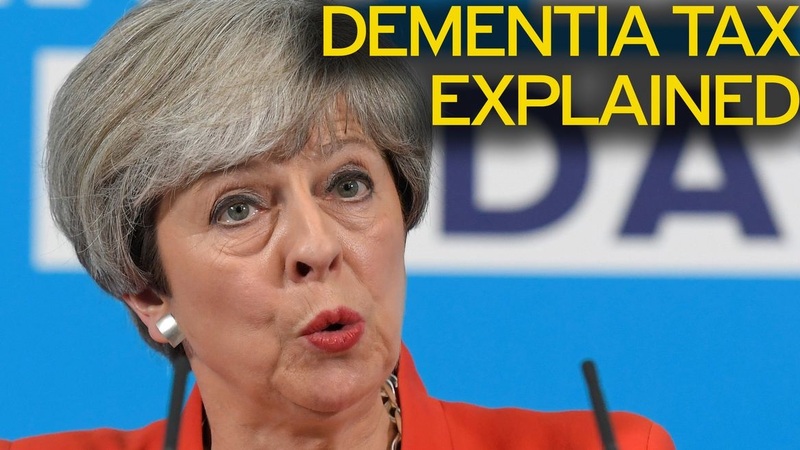 What I don’t understand is during the campaign trail your dear leader did not want to have a face to face debate with her equal which made her look like a sausage am I missing something as some of your Conservative Supporters have said quietly that she should resign post general elections? To put the icing on the cake because of a hung parliament they decided to go into a sweetheart deal with the Democratic Unionist Party(DUP) which already a representative is in Northern Ireland wittingly that the DUP has a anti gay and abortion policies and the Scottish Conservative leader is in panic mode with all the assurances in the world you can’t change a leopard spots it’s like eating very soggy rice. The tide has turned again we have another hung parliament, Conservatives were eight seats short of an overall majority and they turned to DUP have concurred in principle a confidence and supply deal to support a Tory government. This maybe a conspiracy theory in return it looks like two of Theresa May advisors had to be banished into the wilderness or face a leadership challenge by her ministers. Forgive me if I have my doubts I don’t have any confidence of a Conservative Government on the grounds of witnessing 18 years of underfunding in our public services and decimation of the manufacturing industries during my teenage years as it was more about loads of money to the private sectors and most of all greed. Question needs to be answered as to why thousands of votes were not included in the results in Plymouth Sutton and Devonport, have I missed a trick or two or has the constituency have muggings written on their foreheads call me syndical for mentioning it in the public domain. The Tories are on the ropes nationally and it looks like those who had previously refused to serve on Labour’s shadow cabinet under , are ready to serve now. I don’t think Conservatives will last for very long it’s just not good enough to say “I got you in this mess and I will get you out of it”. Voters wants to see substances, job security, more investment in public services and local government. Surely something must be done to address the rating cost of foreign package holidays and imported computer games help to push the UK inflation rate up to 2.9% last month from 2.7% in April. The latest inflation rate is the highest since June 2013, and above the Bank of England’s 2% target. The price of food and clothing also went up slightly but fuel is alleged to have fallen for a third month in a row. The pick up in inflation is likely to continue the squeeze on consumers. Theresa May need to address this urgently as foodbanks, soup kitchens, and homelessness continue to increasing rapidly people want action to be taken and not just giving the talk and not doing the walk. Labour’s percent of share went up best in areas where the average income has risen the most since David Cameron’s Tories came to office in 2010. By contrast, the seats with the largest falls in income saw the highest increases in the Tory vote. 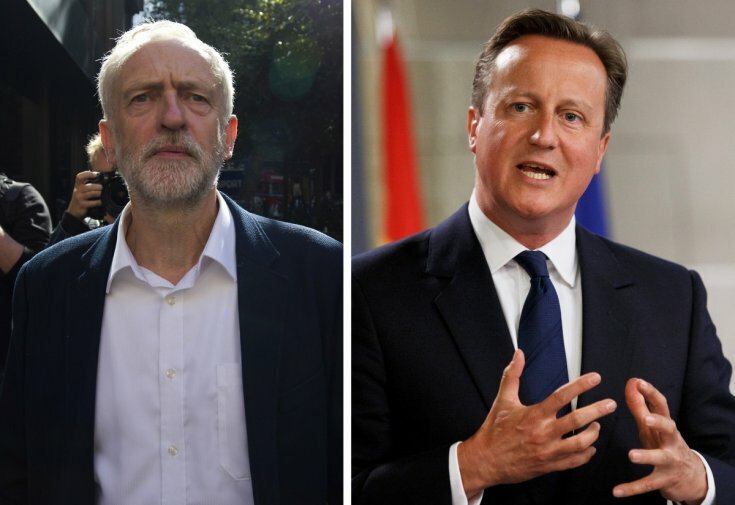 The poorest seats in England saw the biggest Tory advances from 2015. Turnout went up by the most in seats with a higher percent of young voters and students: this explains why Labour took Canterbury (For instance). The education divide is also growing. Labour used to do much better with voters on lower education levels. However in 2010 and 2015, this pattern was reversed, and has continued to do so in 2017. I would urge the Prime Minister should rethink its Brexit strategy, Social Care, more investments in public and civil services most importantly the disabled, mental health, learning disabilities, young and grey powers following last week’s election. For the PM to survive she should be more open and transparent to our nation if not she will not survive. On saying this I would rather have a Labour Government in power instead of a Conservative who are willing to do sweetheart deals with Democratic Unionist Party(DUP) only time will tell if the prime minister survives. Notice how the establishment has immigration high on their agenda just like UKIP as the chancellor has suggested that foreign students and highly skilled workers. Funny enough this does not surprise me at all. Then the government release a statement stating the opposite by denying it and comes out with they are committed to bring net migration down below 100,000 I can only say that they don’t know what the left hand from their right hand is doing as it is a very sensitive issue to address. Somehow this smacks of Donald Trump by saying that he will build a wall the way to Mexico speech. Michael Gove has been elected to a key body which will scrutinise the work of ministers in charge of Brexit. The pro-Leave MP is one of ten Tories elected to the 21-strong Exiting the European Union Select Committee, which will have a wide remit to hold David Davis’ department to account. This comes just months after Gove was sacked as Justice Secretary in the wake of Brexit. Eight of the conservatives on the new committee backed Leave. Labour has put forward a team of five pro-Remain MPs, including the committee’s Chair, Hilary Benn, who will have a casting vote. Along with Gove, the Tory team includes Alistair Burt, Maria Caulfield, Andrea Jenkyns, Jeremy Lefroy, Peter Lilley, Karl McKartney, Craig Mackinley, Dominic Raab and John Whittingdale. Tory MPs Anna Soubry and Peter Bone were unsuccessful in their bids to sit on the committee. Labour’s committee members include Stephen Timms, Emma Reynolds, Pat McFadden, and Seema Malhotra. The committee will be almost double the size of nearly every other Commons select committee, a decision some MPs claim is a deliberate sabotage of its work, as it will be harder to reach consensus. The SNP is to elect two members to the committee, while the Lib Dems, the Democratic Unionist Party, the SDLP, and Plaid Cymru will each chose one. A major Lincolnshire employer has announced it is moving its headquarters to Europe as a direct result of the Brexit vote in June. Anxiety over the cost of a hard Brexit, which would see the UK drifting away from cooperation with the rest of the EU, has compelled Smiffys to open a new headquarters in the Netherlands. Elliott Peckett, director of Smiffys, said 40 per cent of the company sales go to the European Union, its largest trading partner, and he needs to be prudent. “The Government proclaim that they want to encourage Britain to export, but pursuing this hard Brexit approach has simply pulled the chair from beneath us and left us dangling. The simple answer is that we cannot afford to wait. “During that time [the negotiating process], not only will Smiffys have lost valuable EU sales due to this uncertainty, as we are already experiencing, but we will have lost the opportunity to have acted to protect what are vital sales to our company. “Moreover, the fact that the pound is now at a 168-year record low against the dollar, according to the Bank of England, sums up the outlook for the UK economy under the approach that the Government are taking on Brexit.” The company, a costume and fancy dress supplier which employs 250 people across its two sites in Gainsborough and Leeds, has been based in the UK for more than 120 years. Prior to joining the Single Market Smiffys exported only a tiny fraction of their current sales to the EU. “Both Smiffys and its European customers were then faced with bureaucratic and administrative barriers, not to mention the costly import duties that our products attracted, making us uncompetitive,” Mr Peckett explained. “Going back to these times would feel like a step back in time and a lost opportunity to freely access a trading bloc of over 500 million people,” he added. Another concern for the company is the uncertainty surrounding its workforce as it employs over a dozen European staff. “All we have heard from the Government is that it is highly unlikely that they will be allowed to stay and work for us. If this is the case, this will remove Smiffys’ ability to communicate as well as we currently do with our EU customers,” Mr Peckett said. Smiffys’ announcement comes as banks and financial firms warned they could start making decisions to move assets out of the UK as early as 2017if there is no deal in place to maintain their rights to sell services freely across the EU. Open Europe, which took a neutral stance on the referendum, warned that losing access to the single market could cost banks in the UK as much as £27bn, or a fifth of their annual revenue. On Thursday, Nicolas Mackel, the head of financial development for Luxembourg, said a string of overseas banks and fund managers had explored moving London staff to the tiny country since the Brexit vote. A senior Tory ally of David Cameron has suggested that Cabinet ministers and the public who back ‘Hard Brexit’ are “stupid”. Lord Hill, a former EU Commissioner and Leader of the Lords under the ex-PM, warned that the UK had to decide if it wanted to leave the EU with most of its trade links intact, or preferred to make migration curbs a priority. “I think we have this kind of false choice in the UK often between ‘hard Brexit’ and ‘soft Brexit’,” Hill told BBC Radio 4’s Today programme. “I think the choice is between stupid Brexit and more intelligent Brexit and that is what we need to go for. ‘Hard Brexit’ is used in Westminster to describe a clean break with the EU’s single market tariff-free system on goods, while imposing strict visa controls on immigrants. Some MPs suspect that Brexit Secretary David Davis, Foreign Secretary Boris Johnson and International Trade Secretary Liam Fox are prepared to put the UK on World Trade Organisation tariffs rather than remain members of the EU market. Lord Hill, who resigned as the EU’s Commissioner for Financial Stability, Financial Services and Capital Markets Union soon after the referendum vote, even claimed that many EU leaders felt Britain was too smart to really quit the EU. The row came as Theresa May faced the humiliation of seeing Brexit discussed right at the end of a working dinner in Brussels at her first EU summit. Lord Hill’s remarks followed an outspoken David Davis ( Brexit Secretary) by former Greek finance minister Yanis Varoufakis. The former member of the left-wing government in Athens told the BBC’s Question Time that Davis was running a “Pythonesque department of exit, staffed by several people of very low IQ”. Lord Hill, a long-time ally of Cameron, announced his resignation from his Brussels post just two days after the Brexit vote on June 23. His comments today sparked a swift backlash from one senior Tory MP, “Suggesting millions of British voters are ‘stupid’ didn’t work for the Remainers in the EU referendum, did it? On Question Time, Varoufakis refused to name any Brexit department staffers who might be of low IQ, saying these were already well known. UK establishment Brexit Minister (David Davis) to visit his counterpart Micheal Russell in Scotland what transpired his visit since the vote to leave the EU at the roundtable discussion with business figures. All I can say god help us all. As this is not enough embarrassment now transpired that that there is so much u-turn from the UK establishment’s Brexit secretary any arrangements to leave the EU would be a UK deal. A former Treasury civil servant (Sir Brian Unwin) has eloquently put it by stating that the Brexit Minister (David Davis) is in cloud cuckoo land if he believes Brexit talks are heavily weighted in favour of UK, the Brexit Minister and other should rein back hard and unconstructive talk. The UK has said it will begin formal talks about existing the European Union (EU) by the end of March 2017. It is alleged that thousands of High Street pharmacies in England could face closure after ministers confirm plains to after the funding system and make cuts. The Department of Health confirmed that they want to reduce the budget by £2.8 billion a year by more than £2 million over the next two years. It has been suggested cuts on this scale could lead up to 3,000 of the 11,700 pharmacies being closed. We know that Ice Queen Theresa May is in Brussels to talk about Brexit and she is keeping the cards very close to her chest by giving little information to the 28 leaders. To be frank this leads me to strongly believe that she does not know how to move forward on this. 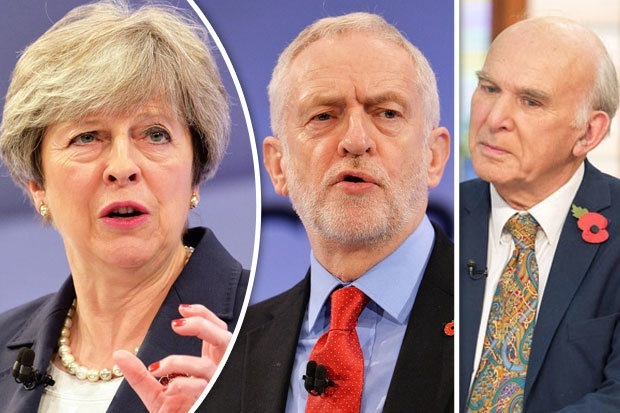 The media and public are more focused on the infighting of Labour Party instead of looking at Conservatives who are also doing their infighting with the likes of the three brexiters who occupy the front benches of government. 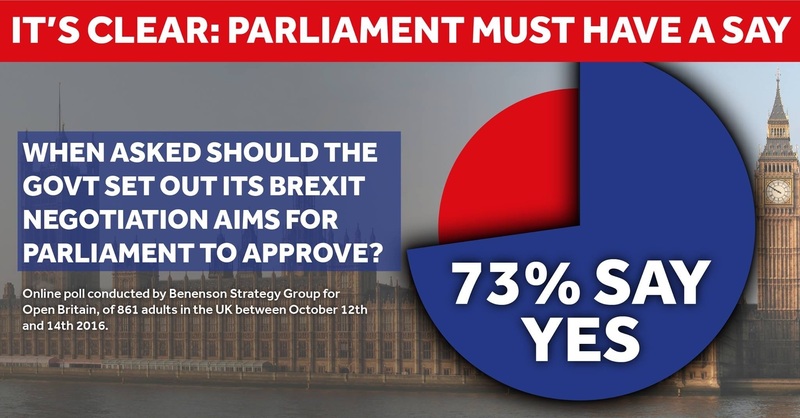 It is further evident that the establishment wants Britain to be part of EU decision-making until Brexit with our negotiating is completed with the summit affecting all 28 members’ states are being discussed. Its alleged by a former senior police officer (Peter Sheridan) who is now chief executive at Cooperation Ireland warned that Brexit could lead to civil unrest in Northern Ireland and went further to mentioned about the a fragile peace process with the numerous agreements that made up Northern Ireland’s peace process show the brittle nature of its politics and less than a year ago, both governments had to step in to rescue the executives. I wholeheartedly support the Welsh First Minister by saying for full and unfettered access to the single market. Leaders of the UK’s devolved governments must not undermine Brexit negotiations. Ice Queen Theresa May has offered the Welsh Government a formal seat in the talks to shape the UK’s EU exit strategy. The joint ministerial council which includes Carwyn Jones and the prime minister, met for the first time since 2014. It’s no surprise that Ice Queen Theresa May has predicted that there will difficulties ahead with the summit leaders to Brexit. She felt it was like a deadlock over landmark EU-Canada trade deal. Just when we thought we saw the end of George Osborne was parked to the backbenches and out of sight, he is like the prince of darkness read to take a bite by quoting he made mistakes in EU referendum campaign and failed to understand the anger felt by many leave voters. He went to say many voters felt completely disconnected and don’t feel part of the national economy that worked for them. Establishment borrowing rose by more than expected to £10.6 billon in September according to figure from the Office National Statistics (ONS). The figure was £1.3 Billon higher than the same month last year. For the financial year to date between April and September, borrowing by £2.3 billon to £45.5 billon. I support the call from the Local Government Association to hold talks with town hall bosses to give councils more building powers to build houses where they are needed and to be freed from restrictions on ability to borrow to fund new home building which includes powers to replace council homes that are sold off as quickly as possible. I’m not convinced that the establishment will grant it instead they rather give the talk but can’t do the walk, the walk. They rather stick to the line of the government is delivering on its commitment to replace all properties sold on a one for one basis. Anthony Browne British Bankers Association (BBA) quotes leading UK banks are preparing to relocate amid fears over the impact of Brexit negotiations sometime next year over fears around Brexit and smaller banks could move operations overseas by 2017. Their hands are quivering over the relocation button. He further commented most banks had backed the UK remaining in the EU. The current public and political debate at the moment is taking us in the wrong direction. It’s about time that Jeremy Corbyn challenged Ice Queen Theresa May over shambolic Tory Brexit by saying the establishment has no plan for UK departure and highlighted for clarity and warned of the effect of Brexit on the border. Jeremy Corbyn took a swipe at the Prime Minister for her inaction over Brexit by saying that her so-called plan is akin to those Blackadder’s loyal dogsbody Baldrick would have devised. The Labour leader mocked Theresa May’s “chaotic” lack of strategy by insisting that the hapless BBC sitcom character is the only “great philosopher” whose thinking he could detect in current Tory policy. “I’ve been thinking about this for a couple of days. I think when searching for the real meaning and the importance behind the Prime Minister’s statement, you have to consult the great philosophers. “Brexit was apparently about taking back control but the devolved governments don’t know the plan, businesses don’t know the plan, Parliament doesn’t know the plan. Ms May suggested it was “interesting” that Baldrick actor Sir Tony Robinson was a Labour member, implying that he had left the party. Mr Robinson tweeted to confirm that he is still a member after 40 years despite being a vocal critic of Mr Corbyn. Ms May outlined a vague plan for Brexit for which the process is expected to start next March in invoking Article 50. She said: “We’re going to deliver on the vote of the British people, we’re going to deliver the best possible deal for trade in goods and services with and operation within the European Union, and we’re going to deliver an end to free movement. So in a nutshell she has nothing to offer and it’s time she changed her tune and come up a Brexit plan. Recently the establishment decided to curb charity organisations from using funds they received in the form of grants whilst I have always highlighted this in the public domain and I agree with the sentiment somehow I can’t help but feel this government has a hidden agenda. Ah do I hear people saying. Yes you are reading correct the establishment has got it partly right they do need to close the loopholes from some charities abusing their funding. How do you distinguish which is private funds from private organisations that is the question. The Tories are using the Trade Union Bill to try and break our relationship. Hidden in the Trade Union Bill is a clause that is deliberately designed to restrict trade unions supporting the Labour Party financially – while doing nothing to limit the hedge funds and millionaires that support the Tories. The union activists who set up the Labour Party all those years ago did so to ensure working people had a voice in Parliament. The Tories are trying to silence that voice. The Bill is not just an attack on the relationship between the unions and the Labour Party, but it’s an attack on our democracy. Well it’s not surprising from this government that they want to curb trade union funds which has been on the cards for a long time coming. Even during the Thatcher years there were talks of this happening ever since the miners’ strike which was but on the back burner then it came back to life again from 2010-16 under the Conservative coalition and a Conservative Government does this have a familiar echo within the trade union movement. Now the establishment wants to subsidised rents for households earning more than £30,000, or £40,000 in London, will be scrapped in April 2017. Social housing tenants will be asked to pay rent at or near market rates. Ministers say it “better reflects people’s ability to pay” – but Labour and the Local Government Association say it would hit hard-working families. The department for communities and local government argues that is “not fair that hard-working people are subsidising the lifestyles of those on higher than average incomes, to the tune of £3,500 per year”. Housing Minister Brandon Lewis said people who could afford to pay more in rent “should do so” – but it would be graded, so that those on lower incomes would not have to pay full market rates. “We have always said we would consider carefully how much more people pay as they move through the pay scales, once they get over £30,000,” he told BBC Radio 5 live’s Pienaar’s Politics. He said the government would “listen to what comes in before we make a final decision in the period ahead of us”. According to the LGA-commissioned study, almost 60,000 households in England will not be able to afford to pay rents at the market rate or take advantage of the right to buy. Councillor Peter Box, housing spokesman at the LGA, which represents hundreds of local councils in England, said: “Many social housing tenants across the country will be unable to afford market rents or take up the offer to buy their council home under this policy. “A couple with three children, earning £15,000 each a year, cannot be defined as high income. Pay to stay needs to be voluntary for councils – as it will be for housing associations. The LGA figures, compiled by the estate agent Savills, show that almost 215,000 social housing tenants will be affected by the “pay to stay” policy. The policy is expected to save £245m a year by 2019-20, ending a situation where higher-income social tenants benefit from taxpayer-funded subsidies of up to £3,500 per year. Former head of the civil service, Lord Kerslake, now a crossbench peer, will attempt to amend the housing bill, which is being scrutinised next week in the House of Lords, to place the scheme at the discretion of local authorities. The peer, who is now chairman of the Peabody Trust housing association, has warned that the proposals were part of a package that could “threaten the future of social housing”. “When this was originally discussed in the coalition government, it was intended to deal with the very small number of high earners on over £60,000. Well it likes the Tories out to get David Cameron between the legs and it seems that Tory MP David Davis said news of the proposed in-work benefits ban could encourage workers to head to the UK. Sir Eric Pickles, a Eurosceptic who supports Mr Cameron’s reform proposals, said action had to be taken to prevent a “new influx” of migrants. The ban has to be agreed by all EU nations at a summit on 18 February. It will be graduated, so that the longer migrant workers stay in the UK, the more in-work benefits, such as tax credits, they will be entitled to, in order to top-up their wages. Mr Cameron says the move will “make a difference” to high levels of immigration by reducing a “pull factor”. But it will have to be agreed by member states, as part of a wider package of reforms to Britain’s relationship with the EU, and will only apply for a temporary period as an “emergency brake”. If Mr Cameron can get a deal on his reform package in two weeks’ time at the Brussels summit he is expected to call a referendum on Britain’s membership of the EU in June. David Davis, a former Tory leadership contender and leading Eurosceptic, said eastern European newspapers had carried numerous stories about the plan to terminate in-work benefits for the first four years after a migrant’s arrival in the UK. At the same time, he said, Brussels has suggested the scheme could take 12 months to implement. “Under such circumstances the incentive for anybody wishing to come to live in the UK will be to come as quickly as possible to beat the deadline when any such restrictions come into effect,” he said. Mr Cameron has suggested the “emergency brake” could come into effect within three months of the UK applying for it. The reforms were instead aimed at preventing people gaining “something for nothing” by claiming UK benefits before contributing anything in tax. But Sir Eric. a Conservative former cabinet minister, said action was needed to prevent a surge of migrants: “Clearly as part of the negotiations we have to ensure that that doesn’t happen.” Meanwhile, speculation is continuing about whether a big cabinet name will lead the campaign to take Britain out of the EU. Other potential Tory “outers” include Justice Secretary Michael Gove and Employment Minister Priti Patel, who have said they will make their position clear when they have seen the final deal. The hot potato of the day was on Sunday 7 February 2016 on the BBC Andrew Marr Show I did not know whether to laugh, cry or bang my head on the wall like many of the junior doctors when Jeremy Hunt quote that the British Medical Association(BMA) of being “totally irresponsible” over a lengthy industrial dispute. The doctors union had refused to sit down and talk about improving patient care and had spread “misinformation”. Okay now that I’ve got this out of the way, I say what a load of poppycock or what a load of pile of manure coming out of his mouth. No doubt he is promoting a great message by using spin doctoring to put patents lives at risk and he think we were all born yesterday thinking we all will believe him when he says that hospitals should be open 24/7. Er we all know that hospitals are open seven days a week all year round. Don’t be taken in by this spin doctoring by Jeremy Hunt. Well Jeremy Hunt to put it in a nutshell it’s okay to put health workers lives in danger by this he pointed the finger at the BMA for the breakdown in negotiations, sticking to the mantra of blaming patient deaths on NHS “inefficiencies,” rather than on the cuts and the need for more doctors and NHS staff — but at the same time he announced some shiny new baubles. On the Andrew Marr show he managed to twice misquote the contents of the report while trying to claim he hadn’t been misrepresenting it. “If the government want more seven-day services then, quite simply, they need more doctors, nurses and diagnostic staff, and the extra investment needed to deliver it,” the BMA retorted correctly. The cornerstone of his new strategy appears to be the announcement of a fresh round of investment into upgrading and “modernising” the NHS’s IT infrastructure. Workers are well inoculated to “modernisation” programmes being used as cover for a fresh round of public money being forked over to the usual rogues’ gallery of privateers — an alarming number of which have former government ministers on their boards. But the potential for abuse and massive waste of expenditure without any substantial improvements is rife, particularly if it’s left to the usual PFI which was introduce by the Conservatives in 1992 under John Major or PF2 as the government has now rebranded them contractors to deliver. When the Labour Government came to power in 1997 it continued with the Tory’s PFI project NHS programme for IT provides a stark example. It took nearly seven years to complete at a cost of an estimated £10 billion most of which was pocketed by IT companies and PFI specialists before finally being abandoned. But the Tories themselves already have form in this particular area. Under the coalition government, they attempted to introduce their own version of the NHS programme for IT in 2013. The first element of this, the care.data project which aimed at creating a national database of health records that could be shared across the NHS in England, was quietly dropped in the run-up to the last general election after two years of failing to address critical concerns of campaigners and health professionals. It was their steadfast refusal to drop the selling of this information on to the private sector that killed off this potentially life-saving project. Lest we forget, the then health secretary in 2013 is the same as the current one — Jeremy Hunt. But perhaps poor old Jeremy is suffering from a dose of selective amnesia due to the strain he’s been put under over the last few months and forgotten this. Selected patient information is already made available to certain private medical research companies through the Health and Social Care Information Centre by many NHS trusts, raising questions about data security. Aggregating of information and data mining have become a booming international market worth billions. And these are far from shadowy companies operating on the fringes of legality. One of the most notorious British-based data miners, Dunnhumby, is owned by Tesco. The Tories’ unswerving commitment to the neoliberal mantra of “private good, public bad” will ensure that this latest programme is doomed before it begins. Now that I have got all this my chest i urge all to join the Junior Doctors strike on 10 Feb 2016. I would like to make it very clear that I hold no malice against any of our Labour Member Of Parliament (MP) who voted for and against the ISIS as it was a free vote and they will have to justify the decision to their constituents. There is doubt the tone of language that David Cameron has alleged to use Terrorist Sympathisers does not help the situation. The words alleged Terrorist Sympathisers is unbecoming of the Prime Minister and he should make a public apology to the house. On saying this I concur that the Conservatives should have allowed a free vote on bombing of ISIS too. No Member Of Parliament can be deselected on a vote which was decided by the party leader to be a ‘free vote’. The term ‘free’ means it isn’t whipped, therefore MPs can vote how they like. Sick to the back teeth of seeing people with no knowledge of our party, attacking MPs for doing what their conscious believes to be right. You don’t have to agree with them, but at least have an adult debate, not behaving like squabbling children because something hasn’t gone the way you’d like and then threaten de-selection on grounds that don’t exist. Also before anyone starts, I would have probably voted against strikes, but it doesn’t mean I don’t understand the views of those MPs who voted for. It’s called democracy. After listening and lobbying various Parliamentarians both from the past and present I sense that there was an atmosphere between the Conservatives and Labour this is the worst kind of politics I’ve come across in a long time. Whatever I may think of both of the Leader of Labour Party or The Leader of Conservatives I can concur that there are personal circumstances that I’m against the bombing in Syria which I will not go into it. 1) What is the long term solution to Syria in the event of Assad stepping down to allow free democratic elections? 2) Will this be another mess left by the coalition like what they did in Afghanistan, and Iraq where the rebels or only for another Jihadist group and taking control of both countries as the coalition leaves Syria? I had long put the argument that the Middle East has to take a bigger role by helping its allies to provide ground troops on their soil with European arm forces to provide them with training and not providing weapons. I’m sure that lessons has or should have been learned if you provide the weapons to the rebel forces they will use it our arm forces or sell the weapons on to their enemies this is what happened the last time around. Lastly, frankly I’m fed up with people who spent years campaigning against Labour, stood against our candidates or voted for other parties now trying to dictate who should or should not be a Labour Party member. They are demanding we think their way or else using the old Sid Spart agit-prop technique of trying to drown out and intimidate voices who disagree with their warmed over and orchestrated cant. Yeah! How many Socialist Party or TUSC MP’s or Councillors have you had elected or is the re-education of the Proletariat behind schedule? Tories record attacking public services whilst they been government. Who remembers the good old days of thatcher and major governments during the 1970-1997 when the government did their very best to smash the trade unions during the coal miners’ strike. You forgive me for being a very old fart or loony left for bearing the scares of Thatcher, Major and Cameron establishment on my shoulders. This is what they through would make them very popular as they said it would stop wildcat strike. What the milk snatcher(Maggie Thatcher) did during that time was to provoke the strike by intimidating the strikers by forcing the police to arrest peaceful demonstrators on the picket lines coupled by bring in undercover solders to work alongside the police force to enforce their will. 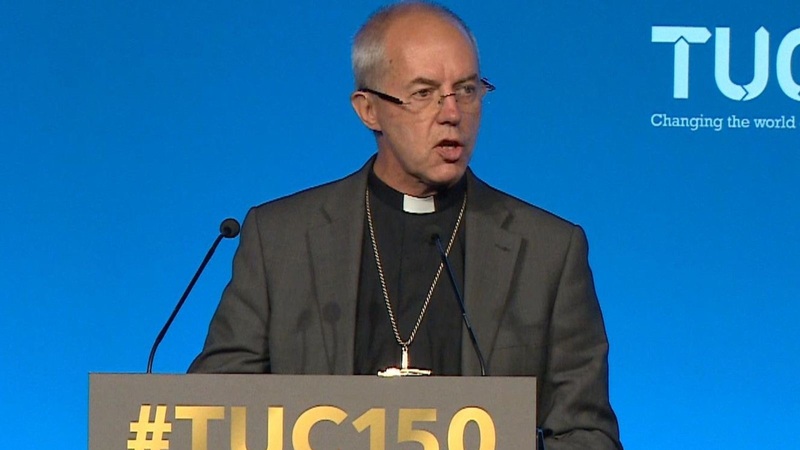 Just when the government of the time thought that they did enough to smash the trade unions the Conservatives failed to comprehend by their actions that it made the trade unions even stronger by uniting the trade union movement which saw mergers of trade unions with more bargaining powers in the workplace. The only concern that the Conservatives have is their paymasters (millionaire donors) have demanded they take action against the tube strikers, public sector workers via the trade unions reform. So it’s no wonder the conservatives are proposing a new laws and defend their argument by tightening strike ballot rules and the cheek of business secretary Sajid Javid to state that this was “not a declaration of war” on unions or an “attack on the rights of working people”. He said that it was necessary to stop “endless” threat of industrial action. This nothing more than the Conservatives to abuse parliamentary powers to stop the trade unions exercising their rights to peaceful assembly and more importantly to isolate Labour Party receiving political funding from the trade unions who are affiliated to our party. For this reason the Parliamentary Labour Party must opposite it and they should put their case to other likeminded people to oppose before it becomes law. Olde ye olde ye the Tories are so desperate that they have decided to launch their own trade union called Conservatives Workers and Trade Union Movement. Not only this laughable one wonders if the conservatives have a change of heart and decided to hoodwink people that they are the party of working people. Call me a old fart or a loony left if you wish, this is no coincidence that the nasty establishment wants to attack our Human Rights Act which goes in hand and heart of the Trade Union Rights and Equality Act by watering it down with no teeth or backbone to them. Just look at what they have done to SureStart, School Meals, public services, NHS Workers rights junior doctors and Welfare. It is purported that the bedroom tax is but one tiny part of welfare. People don’t understand welfare, and the Tories have been allowed to frame the wider debate in terms of ‘scroungers vs strivers’, and ‘welfare recipients are lazy and need to be given less hand-outs’. It’s further purported that Labour barely raised an argument to any of this; on the welfare cap,on the causes of the high welfare bill (low wages, high rents etc), on young people claiming etc. It’s all well and good raising it in parliament (and I don’t doubt the conviction of those that or so), but that doesn’t matter a jot if the public have been convinced that the Tory argument is the right argument, and they do because Labour rarely bother opposing them in public. Most of the time they’re tripping over themselves to agree with them in the press. Labour had their biggest successes when they took the argument loudly and passionately to the Tories, such as the Bedroom Tax, and Tax Credit. That’s because people respond to passionate, evidence based debates. Unsurprisingly, many of the key areas that caused Labour to fail amongst voters; trust on the economy, welfare, immigration, etc; were the exact same areas in which we’d allowed the Tories to dominate and frame the debate, putting up almost no positive, progressive defence. I would argue there is two sides of the coin. Yes there were times the message were not getting through this is because when Labour tried to promote the message the press, social media, and television are more interested in personality contest rather than substance. The second part of this story is when in opposition it can be hard to put forward and gain enough support to get the motion through the house as any opposition party will inform you even if you get likeminded MPs to support the motion it’s still not enough votes to overrun the establishment. Granted Labour is a broad church and there are times members will disagree without prejudice on policies which is healthy for the party as it stimulates debates. As soon as the new leader got elected what does the Conservative Government does introduce in parliament a bill. Then if this is not bad enough the conservatives accuses Jeremy Corbyn of a national security against the economy and to the nation without justification for their reasoning. They have the cheek to say they (Conservatives) are the party for the working people and the poor. Please lobby your Member Of Parliament (MP) to vote against Trade Union Reform and Welfare Reform Bill. I warn you this is not my usual rant, they get me into trouble and I’ve promised. Jeremy told me to behave myself. 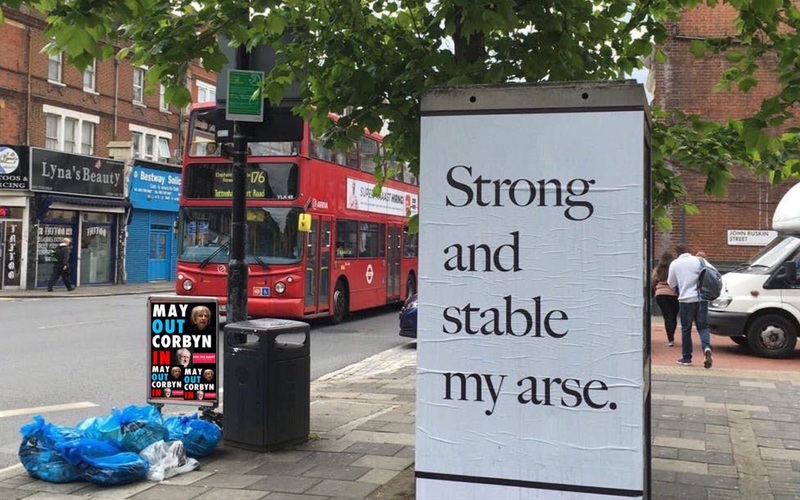 Jeremy and I sat down at the beginning of his campaign for the Labour leadership to discuss what they call the strap line for his campaign leaflets and posters. We came up with the strapline you see now. 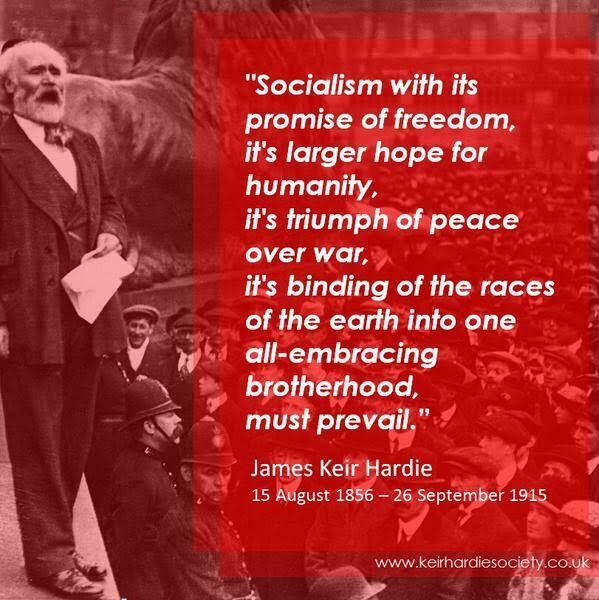 It just embodied for me what Jeremy Corbyn is all about. So in the spirit of straight talking, honest politics. At the heart of Jeremy’s campaign, upon which he received such a huge mandate, was the rejection of austerity politics. But austerity is just a word almost meaningless to many people. Well, for Michael O’Sullivan austerity was more than a word. Michael suffered from severe mental illness. He was certified by his GP as unable to work but despite the evidence submitted by 3 doctors, he was assessed by the company given the contract for the work capability assessment as fit for work. Michael killed himself after his benefits were removed. The coroner concluded his death was a direct result of the decision in his case. I don’t believe Michael’s case stands alone. I am grateful to Michael’s family for allowing me to mention him today. I send them, I am sure on behalf of all us here, our heartfelt sympathy and condolences. But also I want them to know that this party, when we return to Government, will end this brutal treatment of disabled people. Austerity is also not just a word for the 100,000 children in homeless families who tonight will be going to bed not in a home of their own but in a bed and breakfast or temporary accommodation. On behalf of this party I give those children my solemn promise that when we return to government we will build you all a decent and secure home in which to live. Austerity is not just a word for the women and families across the country being hit hardest by cuts to public services. Women still face an average 19.1 per cent pay gap at work. Labour will tackle the pay gap, oppose the cuts to our public services and end discrimination in our society. Whenever we cite examples of what austerity really means the Conservatives always argue that no matter what the social cost of their austerity policies, they are necessary to rescue our economy. Let’s be clear. Austerity is not an economic necessity, it’s a political choice. The leadership of the Conservative Party made a conscious decision six years ago that the very richest would be protected and it wouldn’t be those who caused the economic crisis, who would pay for it. Although they said they were one nation Tories, they’ve demonstrated time and time again, they don’t represent one nation, they represent the 1 per cent. When we challenge their austerity programme, the Conservatives accuse us of being deficit deniers. Let me make this absolutely clear. Of course we accept that there is a deficit but we will take no lessons from a chancellor who promised to wipe out the deficit in one Parliament but didn’t get through half. Who promised to pay down the debt but has increased it by 50 per cent. I tell you straight from here on in Labour will always ensure that this country lives within its means. We will tackle the deficit but this is the dividing line between Labour and Conservative. Unlike them, we will not tackle the deficit on the backs of middle and low earners and especially by attacking the poorest in our society. We have always prided ourselves on being a fair and compassionate people in this country and we are. We will tackle the deficit fairly and we can do it. We will dynamically grow our economy. We will strategically invest in the key industries and sectors that will deliver the sustainable long term economic growth this country needs. Economic growth that will reach all sections, all regions and all nations of our country. I was devastated by Labour’s losses in Scotland. The SNP has now voted against the living wage, against capping rent levels and just last week voted against fair taxes in Scotland to spend on schools. Labour is now the only anti-austerity party. Now’s he time to come home. We will halt the Conservative tax cuts to the wealthy paid for by cuts to families income. Three weeks ago we saw one of the starkest examples of the difference between us and the Conservatives. The Conservatives cut tax credits to working families to pay for a multi billion pound cut in inheritance tax. Families who had done everything asked of them. Working hard but dependent on tax credits to make up for low pay. They will have £1300 taken from them to pay for a tax cut to the wealthiest 4 per cent of the population. The Conservatives argued that they’d introduced a so called living wage to make up for the tax credit cut. But we all know that it was neither a living wage nor according to the Institute for Fiscal Studies did it make up for the amount families lost. I tell you now, when we return to office, we will introduce a real living wage. Labour’s plan to balance the books will be aggressive. We will force people like Starbucks, Vodafone, Amazon and Google and all the others to pay their fair share of taxes. Let me tell you also, there will be cuts to tackle the deficit but our cuts will not be the number of police officers on our streets or nurses in our hospitals or teachers in our classrooms. 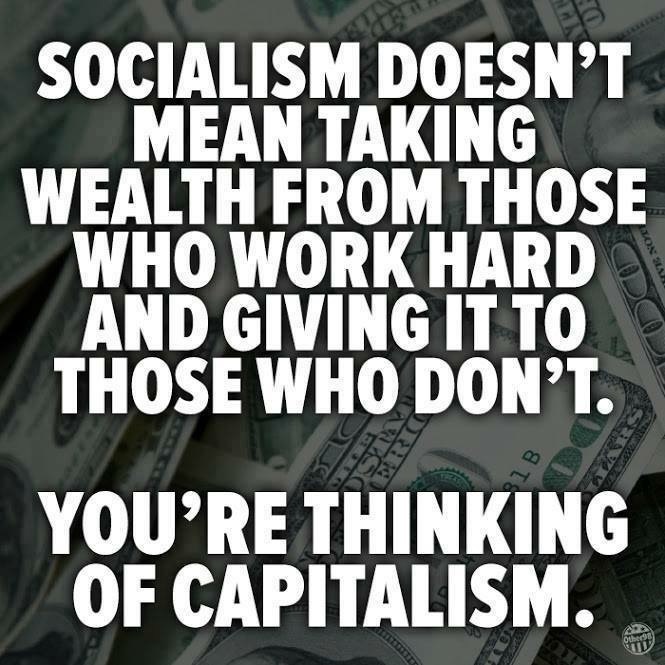 They will be cuts to the corporate welfare system. There will be cuts to subsidies paid to companies that take the money and fail to provide the jobs. Cuts to the use of taxpayers’ money subsidising poverty paying bosses. Cuts to the billion pound tax breaks given to buy to let landlords for repairing their properties, whether they undertake the repairs or not. And cuts to the housing benefit bill when we build the homes we need and control exorbitant rents. Where money needs to be raised it will be raised from fairer, more progressive taxation. We will be lifting the burden from middle and low-income earners paying for a crisis they did not cause. If we inherit a deficit in 2020, fiscal policy will be used to pay down the debt and lower the deficit but at a speed that does not put into jeopardy sustainable economic growth. We’ll use active monetary policy to stimulate demand where necessary. We’ll also turn the Department for Business, Innovation and Skills into a powerful economic development department, in charge of public investment, infrastructure planning and setting new standards at work for all employees. This is a radical departure not just from neoliberalism but from the way past administrations tried to run the economy. Well we just don’t think the current model can deliver. We don’t think that destroying industries and then subsidising a low pay economy through the tax system is a good idea. But our radicalism, it comes with a burden. We need to prove to the British people we can run the economy better than the rich elite that runs it now. That’s why today I have established an Economic Advisory Committee to advise us on the development and implementation of our economic strategy. We will draw on the unchallengeable expertise of some of the world’s leading economic thinkers including Joseph Stiglitz, Thomas Piketty, Professor Mariana Mazzucato, Simon Wren Lewis, Ann Pettifor and former member of the Bank of England Monetary Committee, David Blanchflower and many, many others drawn in for their specialist knowledge. I give you this undertaking that every policy we propose and every economic instrument we consider for use will be rigorously tested to its extreme before we introduce it in government. And we will demand that the Office of Budget Responsibility and the Bank of England put their resources at our disposal to test, test and test again to demonstrate our plans are workable and affordable. These bodies are paid for by taxpayers and therefore should be accessible to all parties represented in Parliament. In government we will establish and abide by that convention. The foundation stones of our economic policy are prosperity and social justice. We will create what Mariana Mazzucato describes as the entrepreneurial state. A strategic state works in partnership with businesses, entrepreneurs and workers to stimulate growth. Government’s role is to provide the opportunity for massive advances in technology, skills and organisational change that will drive up productivity, create new innovative products and new markets. That requires patient long term finance for investment in research from a effectively resourced and empowered national investment bank. A successful and fair economy cannot be created without the full involvement of its workforce. That’s why restoring trade union rights and extending them to ensure workers are involved in determining the future of their companies is critical to securing the skills, development and innovation to compete in a globalised economy. 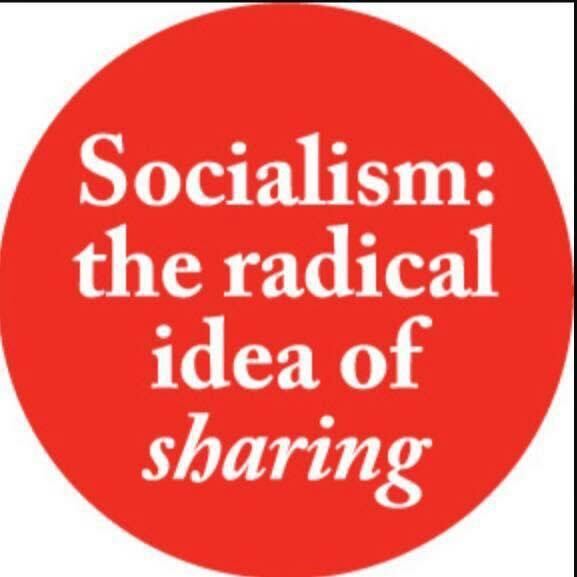 We will promote modern alternative public, co-operative, worker controlled and genuinely mutual forms of ownership. At this stage let me say that I found the Conservatives rant against Jeremy’s proposal to bring rail back into public ownership ironic when George Osborne was touring China selling off to the Chinese State Bank any British asset he could lay his hands on. It seems the state nationalising our assets is ok with the Tories as long as it’s the Chinese state or in the case of our railways the Dutch or French. Institutional change has to reflect our policy change. I want us to stand back and review the major institutions that are charged with managing our economy to check that they are fit for purpose and how they can be made more effective. As a start I have invited Lord Bob Kerslake, former head of the civil service, to bring together a team to review the operation of the Treasury itself. I will also be setting up a review of the Bank of England. Let me be clear that we will guarantee the independence of the Bank of England. It is time though to open a debate on the Bank’s mandate that was set by Parliament 18 years ago. The mandate focuses on inflation, and even there the Bank regularly fails to meet its target. We will launch a debate on expanding that mandate to include new objectives for its Monetary Policy Committee including growth, employment and earnings. We will review the operation and resourcing of Her Majesty’s Revenue and Customs to ensure that HMRC is capable of addressing tax evasion and avoidance and modernising our tax collection system. This is how we will prepare for the future and the day we return to government. Let me now return to today’s economy because to be frank, I am fearful for the present. George Osborne fought the last election on the myth that the slowest economic recovery from recession in a century has been some sort of economic success. In reality the Tories presided over the longest fall in workers’ pay since Queen Victoria sat on the throne. A recovery based upon rising house prices, growing consumer credit, and inadequate reform of the financial sector. An imbalanced economy overwhelmingly reliant on insecure jobs in the service sector. Our balance of payments deficit, which is the gap between what we earn from the rest of the world and what we pay to the rest of the world, is at the highest levels it’s been since modern records began. I worry that the same pre-crash warning signs are reappearing. The UK economy is in recovery despite the Chancellor’s policies and not because of them. You know the narrative George Osborne wanted to present of us this week. Deficit deniers risking the security of the nation etc. It was so obvious you could write it yourself blindfolded. He has brought forward his grandiose fiscal charter not as serious policy making but as a political stunt. A trap for us to fall into. We are not playing those games any more. Let me explain the significance of what we are doing today. We are embarking on the immense task of changing the economic discourse in this country. First we are throwing off that ridiculous charge that we are deficit deniers. Second we are saying tackling the deficit is important but we are rejecting austerity as the means to do it. Third we are setting out an alternative based upon dynamically growing our economy, ending the tax cuts for the rich and addressing the scourge of tax evasion and avoidance. Fourth having cleared that debris from our path we are opening up a national discussion on the reality of the roles of deficits, surpluses, long-term investment, debt and monetary policy. Fifth we will develop a coherent, concrete alternative that grows a green, sustainable, prosperous economy for all. We are moving on the economic debate in this country from puerile knockabout to an adult conversation. I believe the British people are fed up of being patronised and talked down to by politicians with little more than silly slogans and misleading analogies. This is an immense task. That’s why we need to draw upon all the talents outside and inside the party. I admit that I was disappointed that after Jeremy’s election some refused to serve. In the spirit of solidarity upon which our movement was founded I say come back and help us succeed. We are in an era of new politics. People will be encouraged to express their views in constructive debate. Don’t mistake debate for division. Don’t mistake democracy for disunity. This is the new politics. Many still don’t understand its potential. As socialists we will display our competence with our compassion. Idealists yes but ours is a pragmatic idealism to get things done, to transform our society. We remain inspired by the belief and hope that another world is possible. This is our opportunity to prove it.